Please select an option Blue - single bag Black - single bag Blue - 2-pack Black - 2-pack Please select a Color and Type. 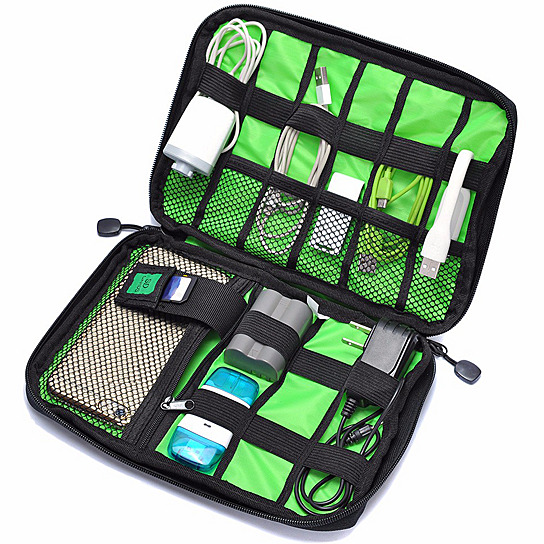 Stay organized on the go with this convenient organizer. Featuring 9 elastic bands, 6 mesh pockets, and 1 zippered compartment, this lightweight bag enables easy travel with all of your electronic accessories, whether you're heading overseas or just across town. Perfect for sorting and storing charging cables, connection cables, headphones, USB drives and other small electronics.